Massive brands like Supercell, King and DeNA may be the best-known examples of mobile game success, but small teams and indie developers create the hundreds of thousands of apps that make up the bulk of the app economy. Tools and frameworks like Cocos 2d-x and Buildbox make it easier for these long-tail mobile app developers to thrive. And we think indie developers deserve powerful monetization options, too – which is why we’re highlighting our new partnership with Chupamobile today. Based in London, Chupamobile is a one-stop shop for publishers that want to build, publish, distribute and promote apps and games. 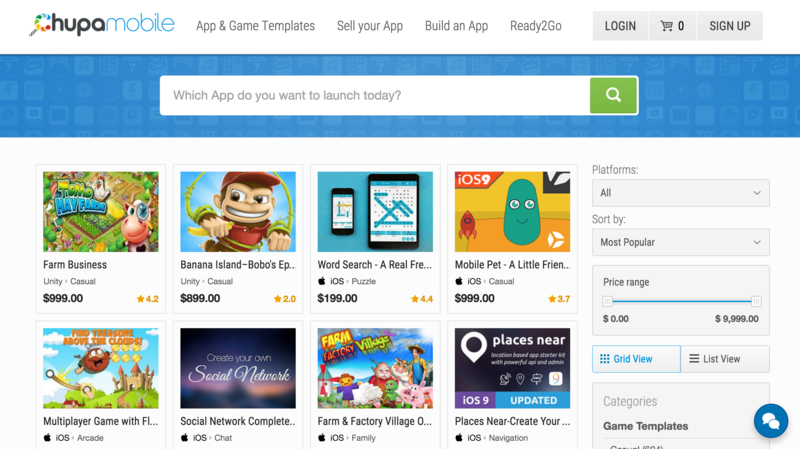 The Chupamobile marketplace currently has thousands of app and game templates available. We worked with the team on the back end to ensure that developers can easily integrate the Fyber Ad Monetization SDK into these templates – meaning more revenue-earning potential for the long-tail. Once the app is launched, they can sign up, log into the Fyber Dashboard and start earning revenue. Interested developers can find out how to earn revenue for their app source code and templates on Chupamobile here (including next steps for adding and integrating the Fyber SDK).